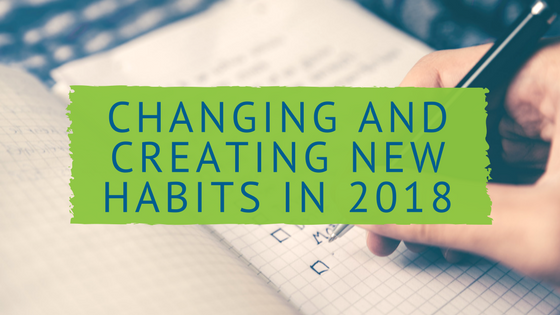 It's 2018, which means two things: miswriting checks and the urge to establish new (or abolish old) habits. Whether setting goals for personal or business growth, cementing a new habit takes time. The timeframe will vary depending on the habit itself, the available motivation, and the supply of distractions. 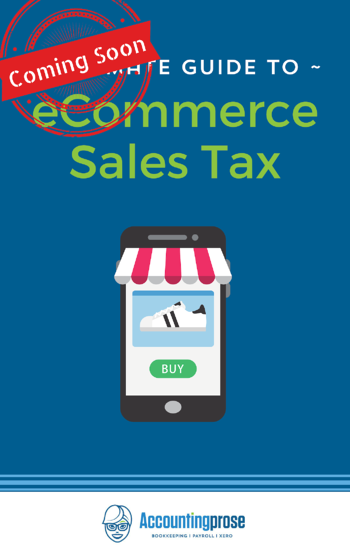 In keeping with our ethos at Accountingprose of pragmatically applying cutting edge technology and established best practices to problem solving, we're sharing resources that support positive change. According to U.S. News and World Report, 80% of resolutions fail by the second week of February. Don't join this statistic! Get clear on what you want: With many external influences, it can be difficult to find out what we really want to change in life. Before we figure out how to go from A to B, we need to find out what we want, and why. We're big fans of the Year Compass for this purpose. Done individually or in a group, this free resource is a powerful tool in gaining clarity on what we want so we don't waste time marching down the wrong path. Don’t try to do too much: Probably the most common mistake with attempts at change is biting off more than one can chew. BJ Fogg, professor of positive psychology at Stanford, tackles this by encouraging people to start small. Tiny, in fact. His website, TinyHabits, coalesces his decades of study on human behavior into a clear and effective path to not only building habits but fundamental understanding of how to do so going forward. One of the biggest hurdles to clear with change is not making a mountain out of a molehill. Thus, the tiny habit. Pay attention to what you pay attention to: Distractions abound in this modern era like no other time in history. This article on Medium goes into specifics on how (and why) to constrain your most precious resource: attention. Anchor your new habit to your current routine: Another integral factor of habit change is to pin a desired new behavior to an already established pattern. This technique is also part of the TinyHabits system. “After I _____ I will _____”. By merging the desired new behavior with already established behavior one has a far greater chance at succeeding in consistent change. Reward yourself: It's important to recognize and reward even tiny incremental successes. The fact is, slow progress is still progress. We tend to want it all, now, and that unrealistic expectation can make real growth impossible. If we stop and acknowledge each baby step towards a goal, we feel further incentive to keep at it. Write it down: Out of sight is out of mind! The simple act of writing down your goals and keeping them visible daily can be a major boon. Some approach this with a sneaky subconscious subversion: The so-called “Seinfeld calendar chain”. Essentially, whatever the goal is, mark an X on a big calendar for each day of successfully meeting it. As days go by, a chain of Xs form, yielding a new and powerful source of motivation: not breaking the chain. Sharing is caring: Another powerful aid in establishing a new habit is an accountability partner. The TinyHabits system incorporates this as another integral piece of the program. If you know someone who is interested in similar growth and change, it can make a huge difference to partner up and keep one another on course with encouragement and support. Are you trying to break a bad habit? We have ONE amazing tip! Mind the burst! : The extinction burst, that is. In the concept of neural plasticity, an extinction burst is the electrical fit our brain throws when trying to avoid change. Our mammalian brains are designed to lazily keep “what works.” So though it may feel like defeat to revert to an old suboptimal habit, the dramatic surge of desire toward the old habit actually marks its death knell. If we're all aware of this dynamic, it's easier to turn these stumbles into continued success rather than a shame spiral.